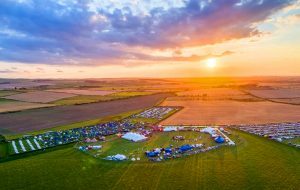 Organisers of Lindisfarne Festival have announced their first big wave of acts for the 2019 summer festival, which is set to take place at Beal Farm on the Northumberland coast for the fifth consecutive year from 29 Aug – 1 Sept. Headlining Saturday night of the three-day music and arts extravaganza are Ocean Colour Scene. The popular Birmingham band, whose rip roaring rock ’n’ folk odyssey spans three decades, have notched up nine albums (three of which went Top 5), nine successive Top 20 hit singles and a string of sold-out arena shows – making them an incredible headliner choice for the growing North East festival. Also announced for the 2019 festival are the North East’s favourite folk-rock pioneers Lindisfarne, who will be playing a Glastonbury-esque ‘Legends’ slot late-Friday afternoon. With a reputation for live performance that is second to none and a repertoire of unforgettable songs that include ‘Meet Me On The Corner’, ‘Fog On The Tyne’, ‘Lady Eleanor’ and ‘Run For Home’, Lindisfarne’s power to galvanise audiences remains undimmed and is guaranteed to be a festival highlight for the home crowd. Also joining the weekend line up will be festival favourites Ferocious Dog, Zion Train, Elvana, 3 Daft Monkeys, Tankus the Henge, The Baghdaddies, Colonel Mustard & the Dijon 5, Big Fat Panda, The Skapones, Megan Airlie and HATi to name just a few, with hundreds more acts including the Friday night headliner still to be announced. Previous headliners at the 5000 capacity festival include: Happy Mondays (2018), The Levellers (2018), The Fratellis (2017) Reef (2016) and British Sea Power (2016). The over 18’s camping festival, which is aptly known as “the ultimate end-of-summer party”, will play host to a diverse line up of 200+ musicians, comedians and performing artists over its 10 unique stages. There’ll also be a strong programme of creative workshops, comedy, spoken word, yoga and holistic therapies on offer as well as luxury glamping packages for those not so keen on camping! 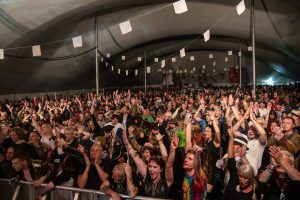 With a 5000 people in attendance at the spectacular site overlooking Holy Island last summer, the independent festival has achieved 150% growth in audience numbers since the inaugural event in 2015. Now with its strongest line up to date on the horizon, organisers say tickets are in higher demand than ever before. Due to a surge in early bird ticket sales and an increased demand for full 3-day festival passes, the festival will be opening its mainstage on Thursday night for the first time ever, with The Showhawk Duo, Smoove and Turrell and DJ Yoda already confirmed for the opening night. 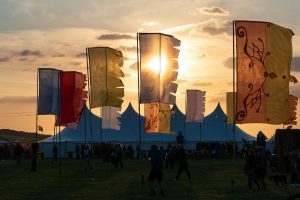 Festival tickets are on sale now via lindisfarnefestival.com, with monthly payment plans available and 3-day festival passes priced competitively at £95.